Do you set aside time each day to get better at the things you do? Do you find opportunities to practice and improve your skills in your day-to-day work? You need to do and to practice if you want to get better. That means making it a priority and setting aside time each day and week to practice what you do. The idea for this topic comes from an article I read recently by John Ressig, the creator of jQuery. John was working on side projects and finding time for them only on weekends. He wasn’t making the progress he wanted and realized he needed to write code every day if he wanted to move forward. John set 4 rules for himself to correct this. He had to write code every day. He could do other things like write a blog post, but only in addition to coding. The code had to be useful code. It had to be more than reformatting the style or tweaking a few lines of code. The code had to be written before midnight. The code had to be Open Source and on Github. While John talked specifically about writing code, I think the general idea can be applied to anything. If you buy the Malcolm Gladwell 10,000 hours of practice to being an expert rule (and even if you don’t), then you should realize the more you do something, the better you get at it. You have to do the work to become an expert. No matter what you want to do, at some point you have to do it, if you want to get better. It’s important to practice and practice consistently. I don’t think you have to literally practice every day, but you probably want to come as close as possible. One way to practice time is to set aside time each day specifically for practice. Ideally you’d set yourself a course of study and work through exercises designed to help you learn different concepts. I’ve said on a number of occasions I think both theory and practice are important for learning and that each can give you something the other can’t. However, if you had to choose between the two, you should always choose practice. Practice without theory will get you further than theory without practice. Unless your goal is a career on the theoretical side like teaching or research. It’s a Nike commercial. Just do it. I devote time every week for learning. Some of that time is spent reading and some of it is spent in practice. In my experience it can be hard to maintain doing something new consistently at first. It needs to become habit and part of your daily routine. In the beginning you also have to deal with your taste outpacing your skills. It can be discouraging, but that’s why you’re practicing. Don’t worry, you don’t have to show your work to anyone. It’s just for you and if you put in the effort, you’ll be better at what you do than you are now. I have another method for finding practice time. I refer to it as multipurposing or doing one thing and having it serve multiple purposes. For example I can learn a new css technique by writing a blog post about it and working on a demo to go with the post. I learn the technique, get to practice it, and end up with a finished blog post. Three things for the price of one. Multipurposing is less about making sure to schedule devoted practice time and more about seeing the opportunities to practice, learn, and grow while doing the things you’re already doing. Instead of sending a quick reply to an email, take a few minutes to edit it. Work on it as a short writing practice session. Take the time to craft your email instead of simply sending it. Is it required for the email? Probably not, but it certainly won’t hurt and doing that enough you’ll become a better writer. Don’t leave a note on the fridge for your roommate. Design it. Call attention to the note. Make sure it has a clear hierarchy and communicates as effectively as possible. If you need to fix some code for a website or app try to fix it in a few different ways. Improve on your code. Reformat it. Spend a few minutes beyond the first solution you find to improve on the solution or find a better one. Everything you already do could probably serve as practice for something in addition to its desired goal. It’s up to you what rules you set for your practice as long as you find a way to practice near daily. John set himself some specific and even arbitrary rules. They help him get what he wants from coding. You don’t have to follow his rules, my rules, or anyone’s rules other than your own. My way isn’t to make sure I do something like write every day, because I know every day will present opportunities to write. 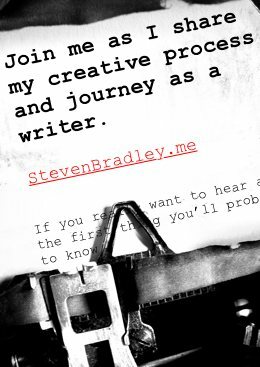 My goal is to make sure I put in a little more than I need to simply finish the writing. I treat most emails like more than just an email. I make an exercise of some and see them as opportunities to practice writing. This can all be a good way to figure out what you’re passionate about if you haven’t figured it out yet. Find a couple or three things you want to do and schedule time for them or find the daily opportunities to practice Odds are you’ll keep up with one thing more than the others. That thing is probably where your passion awaits. Oddly enough I don’t do this as much with design and development as I do with writing. It’s a note to myself to seek those practice opportunities or make sure to schedule some time to devote to the practice. If you want to become a better writer, design, developer, or accountant and you don’t naturally have that work to do in your normal routine then you’ll need to schedule time for it. If you do write, design, code, or whatever you want to get better at, you can take advantage of the daily opportunity to practice. It’s a different way of scheduling practice time throughout the day instead of having it all confined to a scheduled block of time. If you don’t know where to start, pick up a book or signup for an online course. Ideally both will provide exercises that give direction to your learning. Start a personal project. Think of something you want to build and start building it. Let the project direct your course of study. Copy from someone else for inspiration. See their result and try to get to a similar result, but in your own way. Don’t literally copy what the other person did. Use their result as a goal for your practice. See if you can arrive in the same place. There’s only so much time in a day, but practicing what you do is important. Finding the time comes down to priority and discipline. You have to see the importance in practice and then you have to practice. If you want to get something done, make time for it. The main thing is to consistently be working at what you do to get better doing it. Slow and steady is the best way to win this race. Figure out how you can schedule time each day or most days to practice what you do. See the opportunities to practice in the things you already do. Ideally do both.